My photos from the series “Oggi è la festa di..” will be exhibited, together with the works by the other finalist of the Rovinj PhotoDays, at the Museum of Arts and Crafts of Zagreb, Croatia. 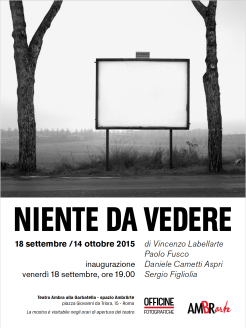 The opening is on the the 27th of October. My photos from the series “Oggi è la festa di..” are on display in Kaunas, Lithuania, as part of the Kaunas Photo Festival 2016. They will be visible until the end of October in a very nice square at the basis of the Žaliakalnis funicular. 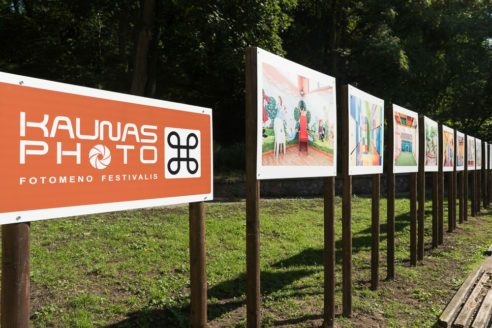 The Kaunas Photo festival is at its 13th edition, it is the longest-running annual photo art festival in the Baltic States, taking place every September in the second-largest Lithuanian town of Kaunas. This year theme is “Flaneur: new urban narratives”. “Niente da Vedere” a Fotografia Europea! 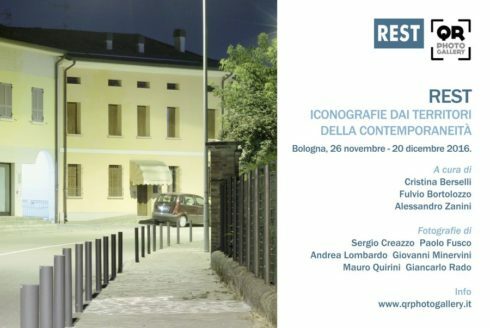 Una nuova edizione della mostra collettiva “Niente da Vedere”, a cui partecipo con scatti dalla serie “Insulae”, è in queste settimane esposta nell’ambito del Circuito OFF del Festival Fotografia Europea, a Reggio Emilia. 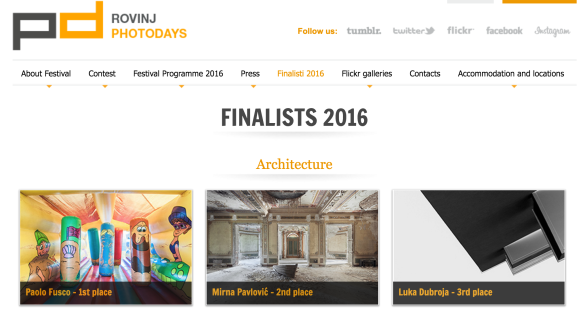 Winner at the Rovinj Photodays 2016! The Rovinj Photodays is the largest and most comprehensive photo festival in Southeast Europe. This year 600 photographers applied from 35 countries, and 20 photographers from 7 different Countries were selected as finalist for the 7 categories. I am very happy to announce the I was awarded with the First Place in the Architecture category, with a series of photos describing the playgrounds where kids in Rome are used to celebrate their birthdays, “Oggi è la festa di…“. The photos will be exhibited during the Festival exhibition at the County Museum of Rovinj, from the 6th of May. Una selezione estesa delle foto dei lavori del progetto “Niente da Vedere” ‪sarà proiettata sabato pomeriggio a Castelnuovo Fotografia, festival di fotografia che si svolge nel borgo medioevale di Castelnuovo di Porto, a pochi chilometri da Roma.